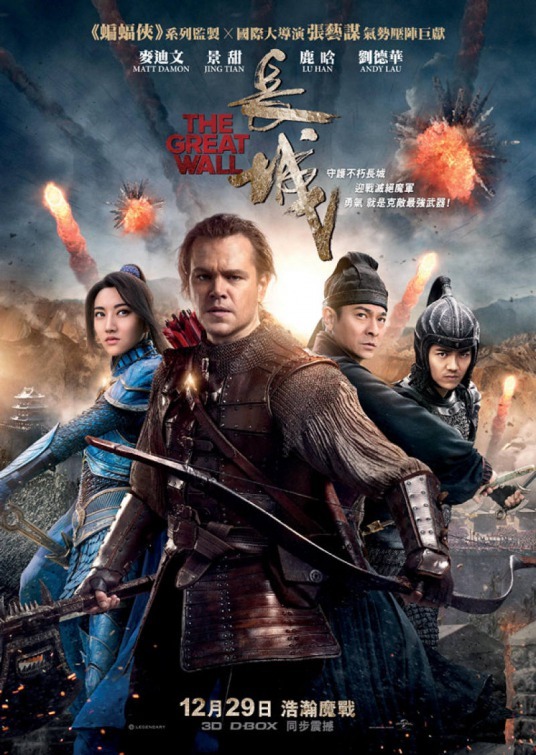 In the 11th century two mercenary soldiers William (Matt Damon) and Tovar (Pedro Pascal) are in China to steal fthe abled ‘Black powder’ (gunpowder), but they are captured and imprisoned by Chinese soldiers and taken to the Great Wall. The army are preparing to battle hordes of man-eating beasts, the Tao Tie, who emerge every 60 years to feed on humans and, in turn, nourish their Queen. This nourishment means she can birth more Tao Tie. If the beasts make their way to the capital city (pop: 2 million) it will inevitably mean the destruction of all mankind. Tovar sees an opportunity to escape with the highly prized powder, but the more principled William decides to stay and fight. Ancient and Imperial China makes for sumptuous cinema, as showcased by Bernardo Bertolucci in the multi-Oscar winning The Last Emperor (1987), throbbing with reds, yellows and oranges. The production team for The Great Wall have also opted for a riot of hues, creating a rainbow army that is not only visually wonderful as they swirl around in battle, but is also rather clever. Each colour denotes a soldier’s position and purpose in the military: red for archers, blue for females etc. Women are lighter and are utilised as bungee-jumping harpooners. Uniformly excellent. Part of the ‘Rainbow Army’ in The Great Wall (2016). 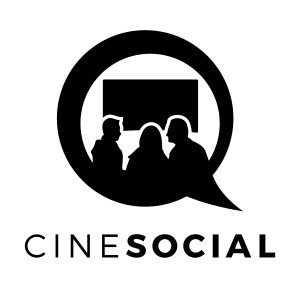 Image courtesy of Universal International Pictures. This eye-pleasing delight is continued throughout a good-looking film (the sky is lit with thousands of sky lanterns after the General dies; there is a flight to the capital in an early form of balloon), culminating in a final kaleidoscope of colour as Damon and Tian Jing make a last stance against the beasties in a towering, stained glass pagoda. All of this splendid production can’t hide the fact that the story is utter nonsense, but it’s fun nonsense all the way. Incidentally, one of the three credited scribes is Tony Gilroy (who directed the Oscar-winning Michael Clayton, 2007), so you would have thought they could have penned better jingoistic, bromantic dialogue than “This is the only war worth fighting”. 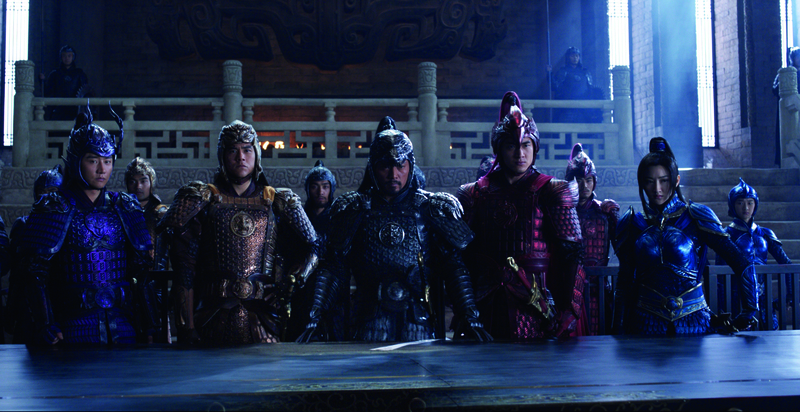 It does point out how yawningly dull the opening sequence is, a no-thrills horse chase through the Chinese desert – as soon as our heroes come face to face with their magisterial frenemies, the look and pace of the film finally ups a few gears. Damon and Pascal make the most of the boy badinage in the script and are an entertaining duo. Given their past film and TV successes, this movie does come across as a Jason Bourne meets Game of Thrones skit, and all the better for it. 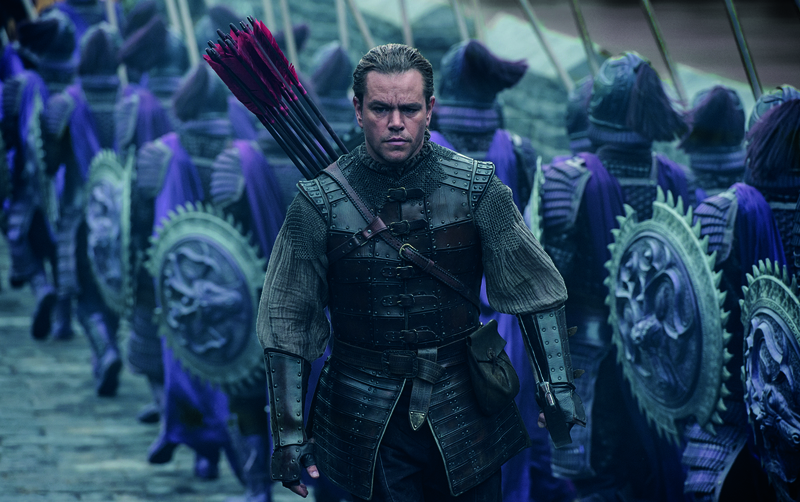 Matt Damon stars as William in The Great Wall. Image courtesy of Universal International Pictures. I accidentally saw this in 3D, not a format I would usually plump for giving how poorly used it is, but the technology here adds to the splendour of the design. Bits of monsters and arrows fly out at you and earth, gunpowder and smoke rain down. Well done Great Wall team – I expected to hang my head in disappointment but was rather happy with the finished result. Producers: Jon Jashni, Peter Loehr, Charles Roven, Thomas Tull. Camera: Stuart Dryburgh, Xiaoding Zhao. Matt Damon, Tian Jing, Willem Dafoe, Andy Lau, Pedro Pascal, Hanyu Zhang, Lu Han, Kenny Lin, Eddie Peng.